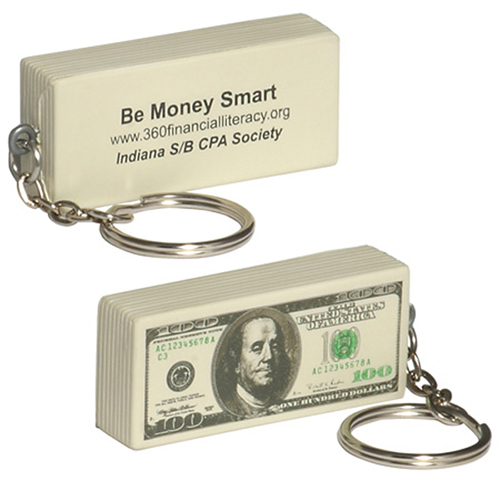 Our $100 Bill Keychains are a cost effective promotion that are great to hand out at trade shows and special events. These $100 bill key chains can be custom imprinted with a business message or clever phrase. These key chains are made of the same soft and durable material as our stress balls. Item Size : 2-5/16" x 1" x 1/2"